Well, it's about freaking time! Apple has finally begun sending out invites for its upcoming press conference, and the company's being none too subtle with the hints, offering up some familiar app icons in the artwork and the tagline "Let's talk iPhone." As to whether it'll be an iPhone 5, 4S or some other new formation, we'll all have to wait until the event to find out -- and you'd better believe we'll be there at Apple's Cupertino headquarters to find out. 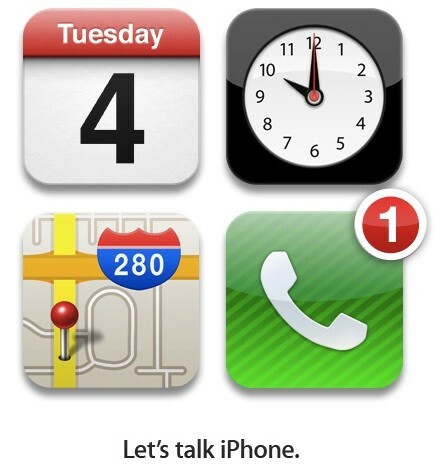 Apple wants to 'talk iPhone' on October 4th originally appeared on Engadget on Tue, 27 Sep 2011 11:22:00 EDT. Please see our terms for use of feeds.